An area represented by a significant segment of Rail Alliance membership, we are pleased to announce our first ever session on this broad subject. With significant focus on efficiency and embedded value, rail infrastructure is in an unprecedented state of transition. We will hear from supply chain specialists representing materials and processes in both the traditional and contemporary sense, as we also seek to understand the challenges and perspective of the Tier 1 / Tier 2 contractor throughout the bid and delivery process. We will also update on how BIM is continuing its introduction to the railway through pioneering projects such as HS2. 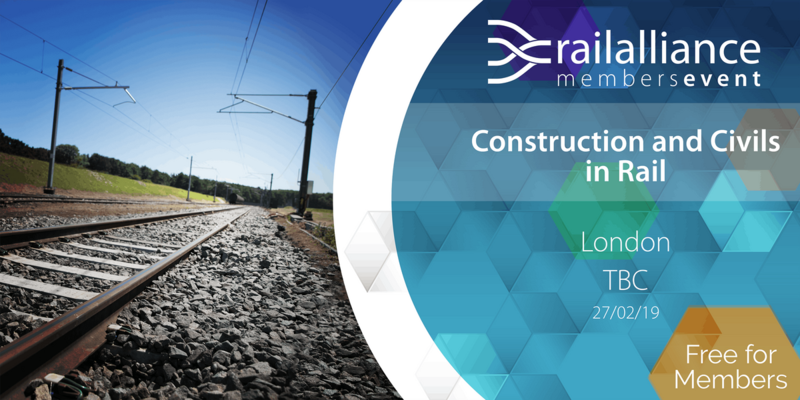 Free to attend for Rail Alliance members, limited non-member tickets available at £100 + VAT.